Revenue in the Apps segment amounts to US$5m in 2019. 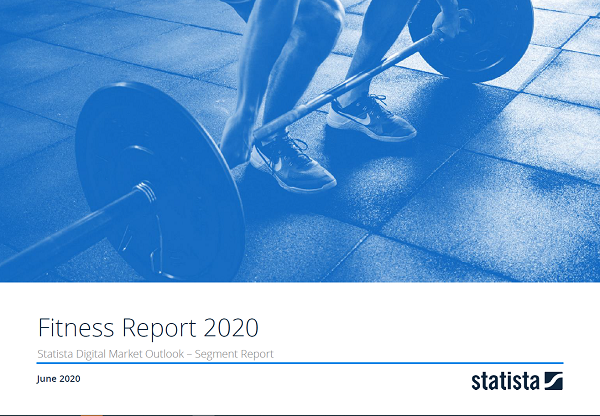 Revenue is expected to show an annual growth rate (CAGR 2019-2023) of 14.3%, resulting in a market volume of US$9m by 2023. User penetration is 7.8% in 2019 and is expected to hit 10.2% by 2023. The average revenue per user (ARPU) currently amounts to US$2.00. In global comparison, most revenue is generated in United States (US$602m in 2019). The Apps segment includes fitness and nutrition apps e.g. calorie counters, nutrition diaries and apps for detecting /tracking/ analyzing and sharing vitality and fitness achievements (e.g. Runtastic). Also included are desktop versions that additionally provide an app for the user (e.g. freeletics). Apps that focus on specific diseases (e.g. diabetes apps) are excluded as well as Apps that do not provide any options to directly measure or analyze vitality and fitness achievements (e.g. exercise tutorials or nutrition lexicons). The user base covers paying and non-paying customers. The revenue figures only include revenues generated from paid app downloads, premium/full versions and in-app purchases; eCommerce and advertising revenues are not included. Reading Support Revenue in the Apps segment amounts to US$5m in 2019. Reading Support The Apps segment is expected to show a revenue growth of 19.7% in 2020. Reading Support In the Apps segment, the number of users is expected to amount to 3.5m by 2023. Reading Support User penetration in the Apps segment is at 7.8% in 2019. Reading Support The average revenue per user (ARPU) in the Apps segment amounts to US$2.00 in 2019. Reading Support In the year 2017 a share of 36.2% of users is 25-34 years old. Reading Support In the year 2017 a share of 50.2% of users is male. Reading Support In the year 2017 a share of 42.1% of users is in the high income group. Reading Support With a market volume of US$602m in 2019, most revenue is generated in United States. Reading Support With a rate of 29.0%, the user penetration in the Apps segment is highest in Sweden. Here you can find more studies and statistics about "Apps".